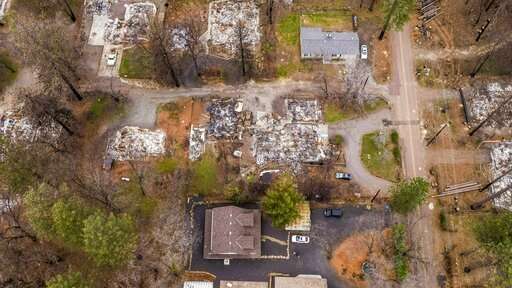 A landmark 2008 building code designed for California's fire-prone regions—requiring fire-resistant roofs, siding and other safeguards—appears to have protected the Carrells' home and dozens of others like it from the Camp Fire. That year marks a pivotal moment in the state's deadly and expensive history of destructive natural disasters. Most Californians, however, are on their own when it comes to spending the tens of thousands of dollars needed to replace a roof or install fire-resistant siding. The state offers no financial incentives for fire safety the way it does, say, for earthquakes—homeowners in quake zones can get up to $3,000 apiece from the state to gird their homes against seismic disaster. The fund might not be nearly enough to go around—not with hundreds of thousands of homes in need of retrofits, and a new roof alone costing $10,000 or more. "The $1 billion, indeed, that's not enough to rehab every home," said the Building Industry Association's Raymer. But he said it's "an absolutely excellent way to kick things off." Wood said state officials would have to figure out a plan for parceling out the money to where it's needed most—probably starting with lower-income areas near forests. The fire-safe building code had its origins in two significant fires from a generation ago—the Panorama Fire of 1980, which spilled out of the mountains into the city of San Bernardino; and the monstrous Oakland Hills Fire of 1991, which wiped out 2,500 homes and killed 25 people. The maps spawned tighter building standards. The Legislature mandated fire-resistant roofs in these fire-prone areas. Then in 2008 the state laid out a more comprehensive scheme. The California Building Standards Commission rolled out a suite of regulations, known as Chapter 7A, that set strict rules for roofing materials, siding, windows, decks and other elements of a home built in 2008 or later—right down to the minimum specs for the wire mesh that must be installed on attic vents to keep embers out (no more than a quarter-inch of space between the wires). Enforcement of the building code carries a few wrinkles. In the mainly rural areas where Cal Fire is in charge of fire protection, the Chapter 7A code is automatically enforced in any region that Cal Fire has designated as a "severity zone"—moderate, high or very high. Nevertheless, there are places where local officials are reluctant to impose strict building codes—even where fire has caused catastrophe. How did that happen? Years ago, the land was outside Folsom's city limits and Cal Fire was responsible for its safety. Cal Fire's maps put the land in the "moderate" risk zone—a threat level high enough that, under the state's regulations, the fire-safe building code took effect. As it happened, no construction took place during that time, city officials say. 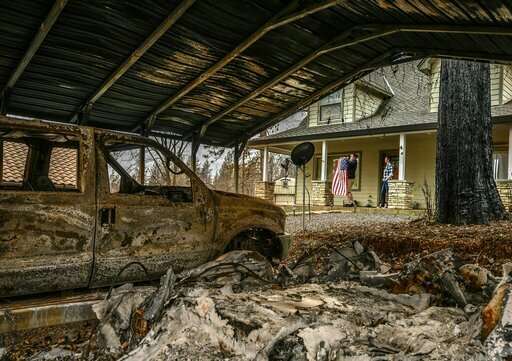 Like the flag, the house is still standing. 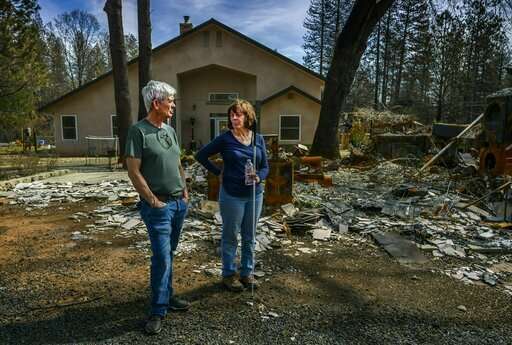 The Herrs' home, built in 2010, suffered a bit of scorching and some interior smoke damage—the smoke is bad enough that they're still temporarily living in Chico and aren't certain they'll move back. 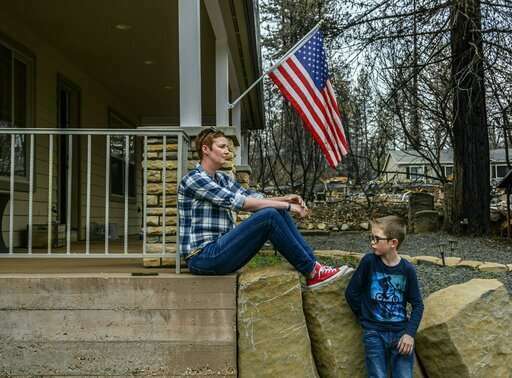 The Herrs believe their attention to defensible space—the house is mostly encircled in gravel—and the strictness of the building code probably made the difference.